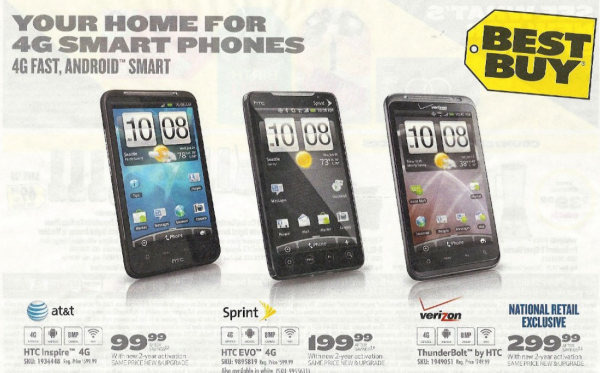 Another week cruised by without the HTC Thunderbolt, but that hasn’t stopped Best Buy from printing it over and over again in their weekly ads. 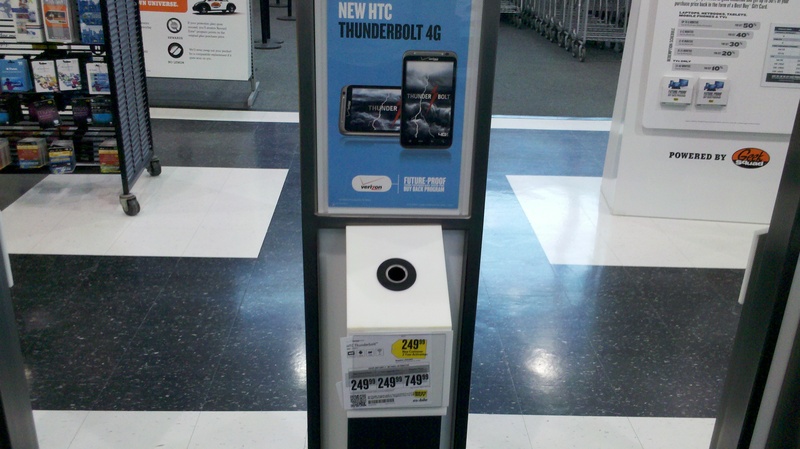 The latest gossip on Verizon’s first 4G LTE phone suggests that HTC is becoming a little irritated with Big Red over all of these apparent delays and has even threatened to pull all of their ads if the phone isn’t announced today! Oh no! We still have no idea what the real cause for them to keep missing rumored dates is, but it doesn’t even matter at this point. If the phone finally pops up, someone please let us know. And yeah, $299 still being printed as the contract price.